Board Game Night at the Library! The Library will host a Board Game night the evening of Friday, 11/21. Just like a lock-in, the doors will be locked but people can come to play board games. Food and refreshments will be served. The event starts at 5 pm and will feature such games as Carcassone and Settlers of Catan. Roleplay Gaming Night at the Library! Are you interested in learning more about Roleplaying Games? I am talking specifically about the dice and pen and paper kind. 😛 Have you been playing for a while and would like to GM (game master)? Well then this is the event for you! I will be having 5 of my friends, who have been gaming for a LONG time (more on the later), to come and chat with you about RPG’s and GM’ing. Then we will run some scenarios so people can see how it works. You do not have to have played RPGs before or be any kind of expert. Even if you are, you might have fun anyway. We hope to see you there. Event time and date: Friday, 7 pm – 12 am, Oct. 24th, 2014. It’s that time again! Time for another Library Game Night lock-in, of course. We’re bringing it a little more current day with these choices, focusing on both of Chicago’s own Netherrealm Studios newest games – Injustice, and Mortal Kombat. As per usual, we will be letting everyone in between 4:30pm and 5:00pm, though you’re more than welcome to come in before the Library closes and just sticking around. Officers and such will be here early to set up anyway, so you won’t be alone. We will have one room with Injustice running, and one with Mortal Kombat. Both will have tournament ladders set up, and you’re more than welcome to participate in both. Specific rules for the night will be explained and verified by our very own officer Taylor Foote, who will be hosting this evening. We will have food, so no worries there! Both games will be played on Xbox 360, because that’s how we roll. Bring your friends, bring your skills, and get ready to throw down. You may have noticed that one of the many changes going on to the library is the addition of a new name. Made official by the dedication ceremony over the weekend, the library at USF will now be known as the LaVerne & Dorothy Brown Library. It was named to honor extraordinary leadership and outstanding support given to the University of St. Francis and the community. LaVerne “Bitz” and Dorothy “Dottie” Brown have provided leadership to improve the quality of life for citizens through education, health care and community development. Mr. Brown served as a member of the university’s Board of Trustees from 1974 to 2011, one of the longest serving members. The USF Board of Trustees approved the library naming last spring. Other changes made to the library recently include the newly renovated entryway; landscaping improvements, complete with the addition of outdoor seating; the renovation of the Curriculum Lab into the Special Education Assistance Technologies (SEAT) Lab; a renovated elevator and the upgrading of the student computer workstations in the library’s computer lab. For photos of the exterior changes, head over to the Brown Library’s Archives blog. The USF library will be closed to students and the general public starting Saturday 7/2/11 due to renovations on the front entrance of the library building. The construction should take 3 to 4 weeks. We will continue to update you on the progress and when the library will reopen. Library staff will be available by phone, email and chat to assist patrons with any research needs and the pickup/drop-of books and videos. Normal business hours will still be in effect with the exception that the library will be opening at 8 am on days it typically opens at 7:45 am. If you have any questions about library services during the closure, please call the Reference Desk at 815-740-5041 or email a Reference Librarian. If you have questions about library hours, please contact us! We are closed on Friday 10/22. But we will resume our regular hours on Saturday 10/23 at 9 am. Have a great break! Saturday Sept 25 is the 6th annual Smithsonian Magazine Museum Day, where entry fees at museums nationwide are free! Visit the Museum Day 2010 website to find a list of museums by you that are participating. Many local museums are participating, including the Joliet Area Historical Society, the Aurora Regional Fire Museum and the big Chicago museums including the Adler Planetarium, the Museum of Contemporary Art and the Frank Llyod Wright Robie House are also honoring the deal. So take a break from studying and go enjoy some free culture! Nothing to do this weekend? Come see USF Archivist, Linnea Knapp, give a book talk based on her recently published graphic history of the University of St. Francis. Linnea will be speaking this Saturday, September 25 at 10am in the lower level of the USF Library. 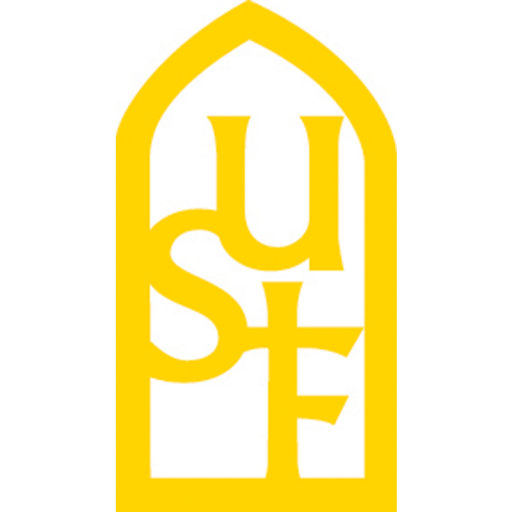 Her talk will cover the great history of the school, highlighting specific people, places and events which helped to create the USF we know and love today. Questions about attending the presentation? Contact Christine Montgomery at 815.740.3448. Can’t attend the presentation but are still interested in knowing more. Copies of the campus history book are available at the USF Bookstore and online through Barnes and Noble.